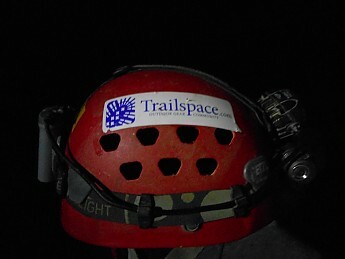 And here's the stickered helmet on my head on top of a rappel. What amazing pictures! Thanks for sharing G00SE! I wish I could claim that Chris Higgins photo as my own! I don't know how I missed this one, but thanks for taking us down deep, Goose. That is quite an amazing drop! 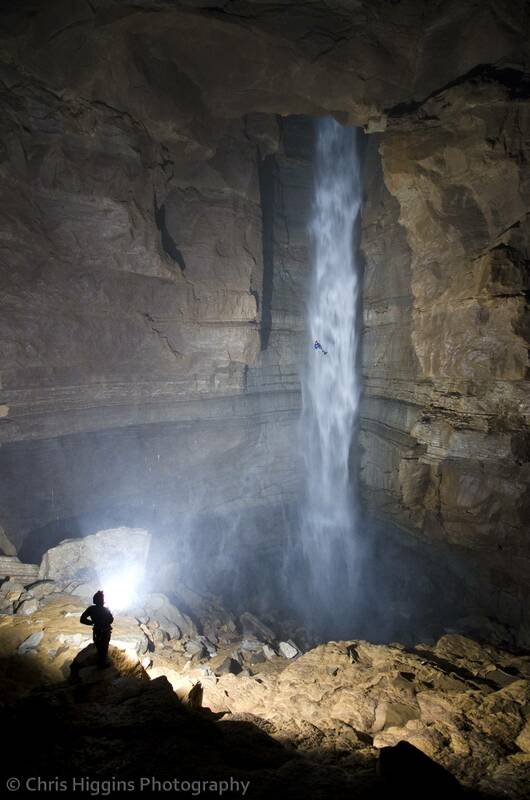 How much of the drop could you see while you were rappelling? @Alicia, with my new Zebra light, I could see to the bottom. 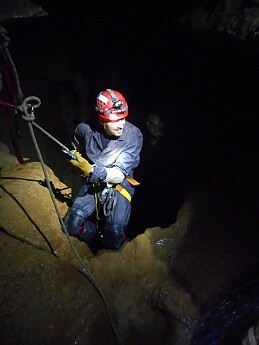 However, it's really hard to judge depth in caves. Which is one reason you never jump--I've heard of folks breaking legs when an easy "5 foot" drop turned out to be 10 or more. Also, you're dealing with the roar of the waterfall, and that really creates a disorienting effect.